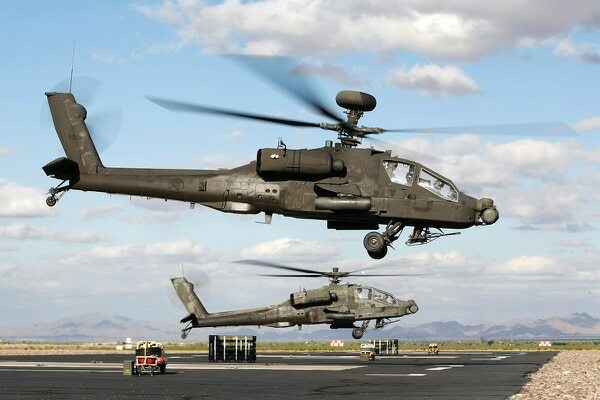 MELBOURNE, Australia ― Singapore has confirmed it is using the Boeing AH-64D Apache attack helicopter in an air defense role, as part of the Southeast Asian island nation’s multilayered, networked air defense system. Defense News also spoke to some of the crew of the Republic of Singapore Air Force Apaches that were on the static display at the recent Singapore Airshow, who confirmed the aircraft’s use for air defense. The decision to utilize the Apache in such a role was driven in part by the advantages that the slower Apache has at certain flight regimes, namely against “low and slow” targets such as light aircraft or UAVs; fast jet interceptors may have difficulty keeping station and maintaining visual contact. The crew did not disclose whether there are Apaches placed on permanent readiness for Singapore’s air defense missions, citing operational security. Click here for more from the Singapore Airshow! The Air Force currently operates 20 AH-64D helicopters, with eight based at the Silverbell Army Heliport in Marana, Arizona, for the Peace Vanguard detachment. The remainder are based in Singapore with the service’s 120 Squadron. The fleet is being upgraded with new satellite communications, believed to the Elta-Israel Aerospace Industries EL/K-1891 Ku-band system and an integrated electronic warfare system, which Defense News has previously identified as being from Elbit. Singapore set up its air defense task force in 2010 as part of the Singapore military’s high-readiness core to monitor its skies as well as respond swiftly and decisively against potential air threats day and night. It leverages cross-domain and cross-function capabilities, such as the Air Force’s suite of sensors, flying platforms and ground-based air defense systems within a networked, integrated air defense system that operates around the clock.